It’s about time to honour some recent deals that have been closed by Cleantech VCs and startups that belong to our Ecosummit community. We take a look at the portfolios of the leading VCs in Europe and share some selected news with you. 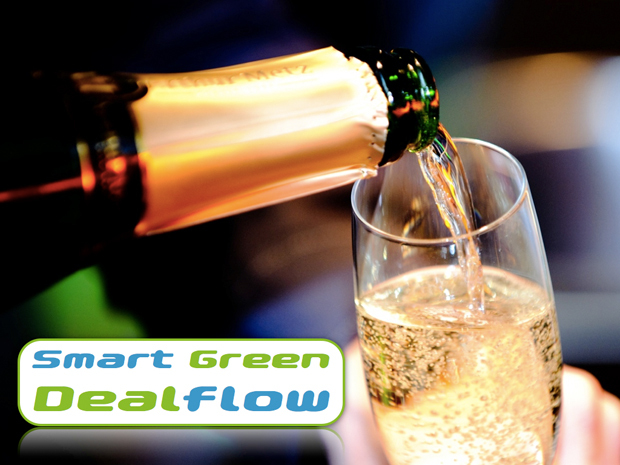 Our first Smart Green Dealflow article features: JouleX, pvXchange, Entelios, Inge, Neura, Schnell Motoren and Pyrum. Let us know if you have more smart green deals we should cover. On 10 June 2011, the smart green IT startup JouleX secured a $17M financing round of expansion capital from investors including Sigma Partners, Flybridge Capital, Intel Capital and the German VC Target Partners. Olaf Jacobi, Partner at Target Partners and GVS10 VC panelist, is very happy that JouleX developed so quickly into a serious global software provider in the exciting market of enterprise energy management. Tom Noonan, CEO of JouleX, was ECO11 speaker and is live on Ecosummit TV. On 11 May 2011, Joerg Sperling, Partner at WHEB Partners, closed the deal with pvXchange, the leading B2B marketplace for PV components. pvXchange was founded in 2004, is profitable and was financed up to now out of its cashflow. Aiming at a faster international expansion, Kai Malkwitz, Managing Director of pvXchange GmbH, selected WHEB Partners because Joerg offered the best deal, not in terms of valuation but in terms of fair long-term cooperation. That sounds fair to me, too. On 2 February 2011, Entelios announced the successful closing of the Series A financing round powered by Dutch VC Yellow & Blue and Germany’s seed VC High-Tech Gründerfonds. Entelios provides energy demand response solutions for utilties and energy-hungry industrial companies, one of the key applications in the smart grid. Tom Schulz, COO of Entelios, was ECO11 speaker and is live on Ecosummit TV. On 26 April 2011, Gina Domanig, Managing Partner of Emerald Technology Ventures, was happy to celebrate the trade sale of their portfolio company Inge to BASF. The water treatment technology leader Inge is now part of BASF Water Solutions. Financial details of the deal are confidential but I am sure that Gina and her co-investors are happy with the ROI. Gina was ECO11 speaker and you can watch her on Ecosummit TV. On 6 July 2011, Bruno Derungs, Partner of Climate Change Capital Private Equity, invested €8M in Neura, an Austrian Cleantech company focused on manufacturing smartgrid enabled, high performance heat pumps for residential and commercial properties. Founded in 1979, Neura looks like a hidden champion and a profitable late-stage deal many Cleantech VCs like a lot. Bruno Derungs was ECO11 speaker and his presentation is live on Ecosummit TV. On 15 June 2011, Stephan Beyer, Partner at Eco Investors and GVS10 speaker, closed a €10M investment into Schnell Motoren together with Demeter Partners (Michel Leistenschneider and Detlef Steinmann). Schnell Motoren manufactures engines for biogas plants that are very fuel-efficient. On 6 July 2011, the startup Pyrum Innovations announced that they received public funding of €985K provided by the EU programme Eco-Innovation. While this is not VC money, it means significant financial backing and a very interesting source of financing other startups should investigate, too. Pyrum has very promising new technology to recycle tires on industrial scale. Pascal Klein, CEO of Pyrum, was ECO11 speaker and his ECO11 presentation is live on Ecosummit TV. So this is it. Please let us know if you have more smart green deals we should cover.